If you don't have a fun frame hanging around waiting for you to turn it into a Christmas wreath, why not make your own with some twigs that are probably lying around your yard this time of year. 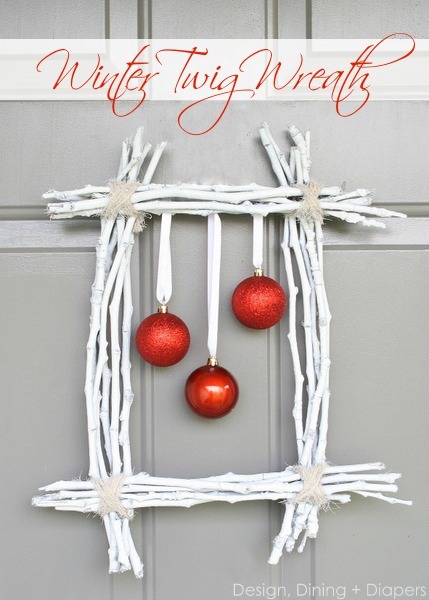 This fun winter twig wreath is a great way to display fun ornaments to welcome your guests at your front door. You can check out how to make a winter twig Christmas wreath over at Design, Dining + Diapers.